Fairy Fencer F: Advent Dark Force coming to Nintendo Switch! | Blog | Ghostlight Ltd.
Fairy Fencer F: Advent Dark Force coming to Nintendo Switch! I’ve got some incredibly exciting news for you all today, as I’m now able to tell you that our first ever Nintendo Switch release will be Fairy Fencer F: Advent Dark Force! Ghostlight will publish in Europe and Australia this autumn while the North American release will be handled by Idea Factory International. Not only is it fantastic to be working on Nintendo Switch with our very good friends at Idea Factory, but it’s also great to make our return to console with such an amazing JRPG! The game will be available for £29.99 (€34.99) and will also include all 25 DLC available in the original PlayStation®4 release! 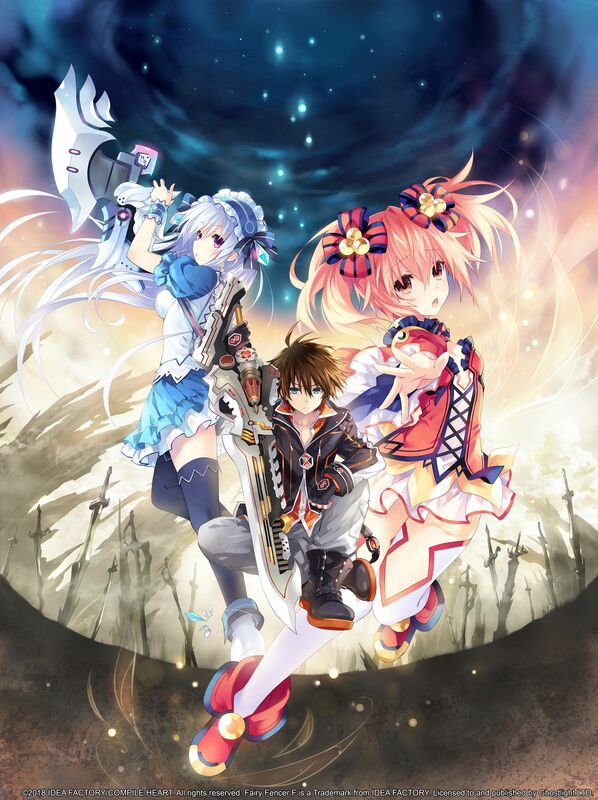 Fairy Fencer F: Advent Dark Force is a new and improved version of the beloved Fairy Fencer F and is one of the strongest JRPGS on PS4 and PC. As well as all that, it’s a game that Al & I have personally really enjoyed, so we’re incredibly happy to get the chance to share it with all you Switch owners! 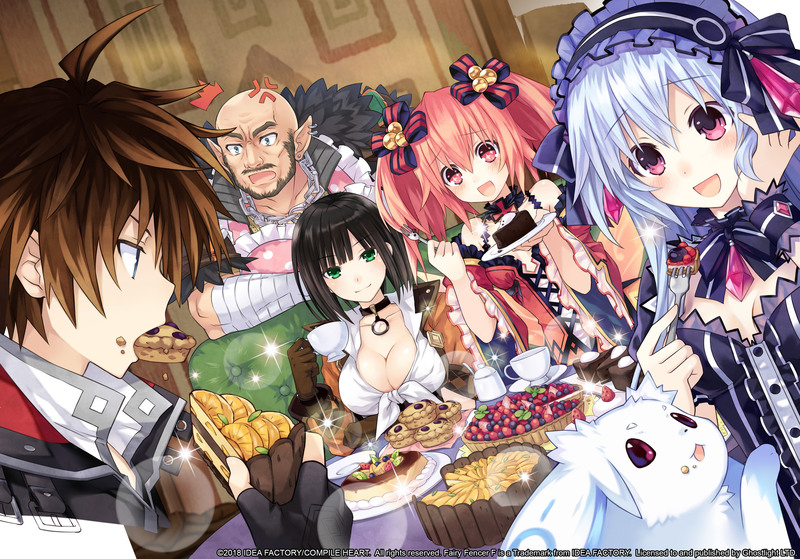 What is Fairy Fencer F: Advent Dark Force, and why should I be so excited about it? Long ago, a dreadful war was fought between the Goddess and the Vile God. Both created a vast number of special weapons imbued with their godly energy, each containing the life force of a fairy. Armed with these weapons, the deities continued their conflict until they finally sealed each other away into the great unknown. A long time has passed since this ancient conflict, and the weapons created by the Goddess and the Vile God have since been scattered across the world. These weapons—now known as “Furies”—are highly sought after by warriors who call themselves “Fencers”. It is said that whoever collects a Fury will be granted one wish. When a young man named Fang decides to rashly pull a Fury from a stone, he inadvertently becomes a Fencer himself, forever altering the course of his destiny. Continue your adventure through three new story paths: The Goddess story, the Vile God story, and the Evil Goddess story. Play as Fang and his gang as you face off against a new, evil organization, meet new fairies and fencers, and collect the furies scattered across the world. Each path leads to a different outcome, so choose wisely. Digitally Downloaded gave it 4.5/5, saying: "Tsunako’s designs, especially, are just incredible. Her use of clean, defined lines and rich colour makes each character distinct, and absolutely gorgeous both in motion and the stills." I hope you’re all looking forward to this incredible JRPG making its way to Nintendo Switch later this year. I know I am!